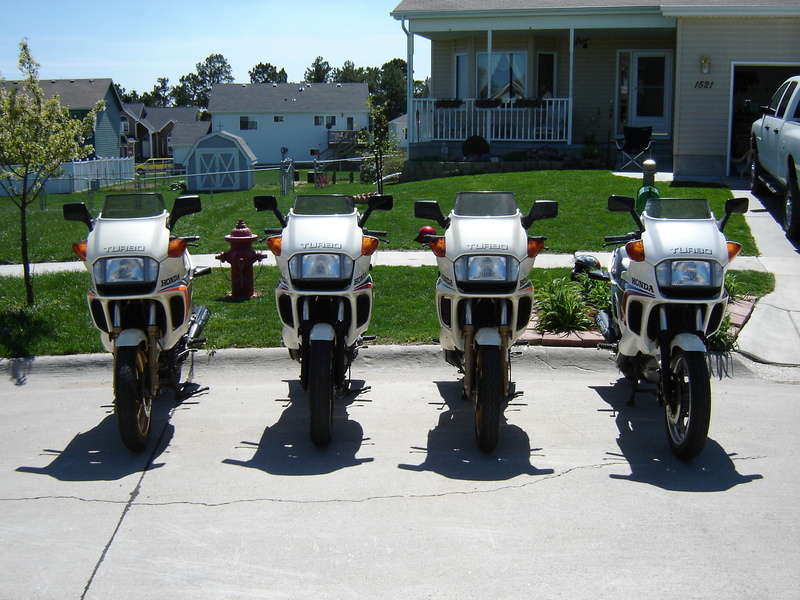 Here are a couple pictures of Pete Kroll's (aka CXTURBOBOOST) CX500 Turbo collection. 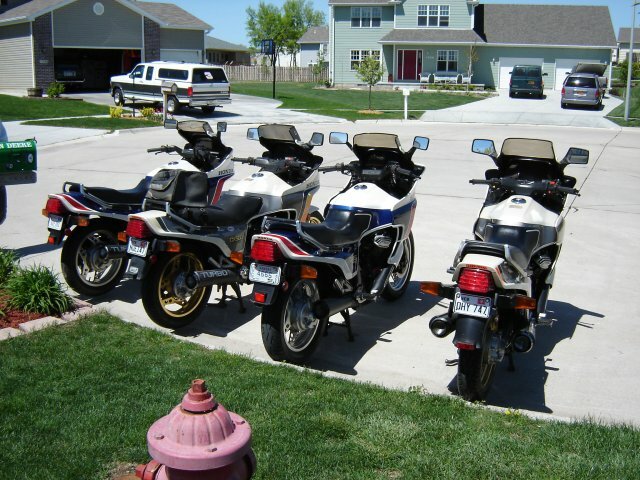 This picture includes a few bikes. 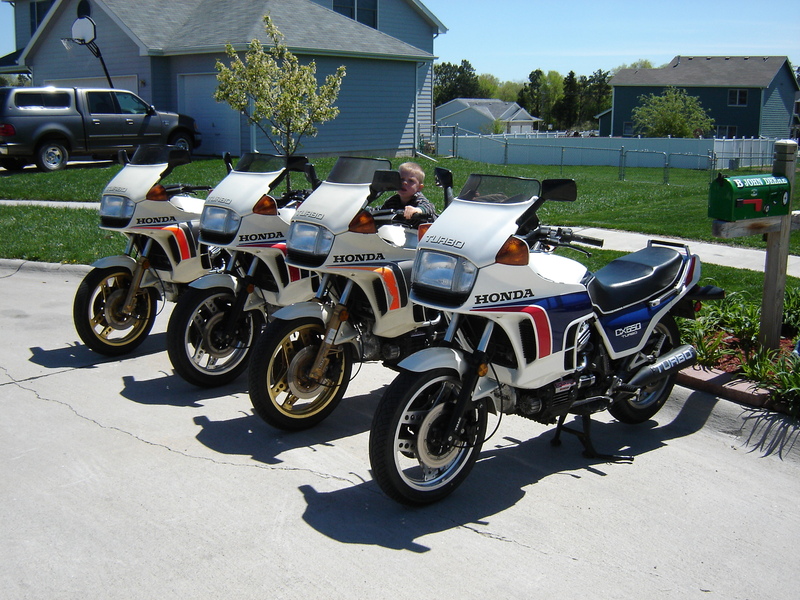 The CX650T (on the right with Pete's son sitting on it) is a recent addition to the collection. 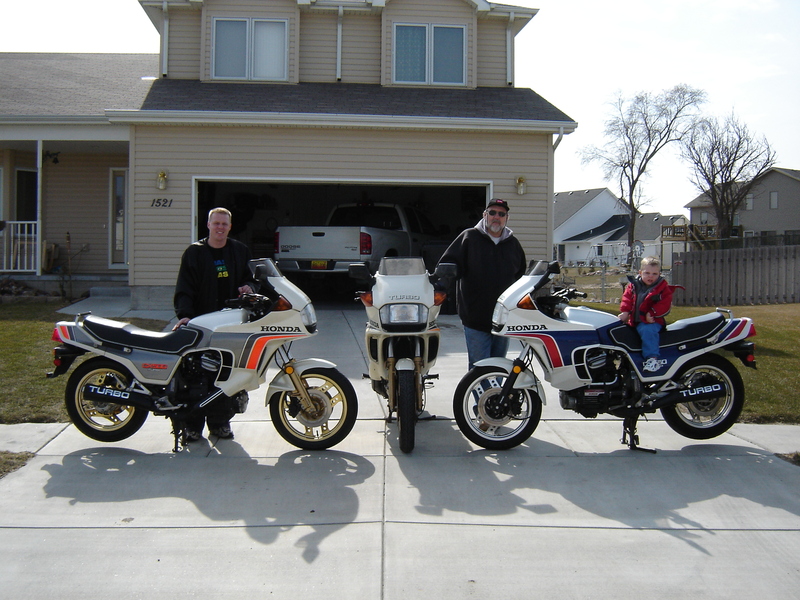 My dad is next to the center bike which he originally bought in '82 (CX500T original owner). 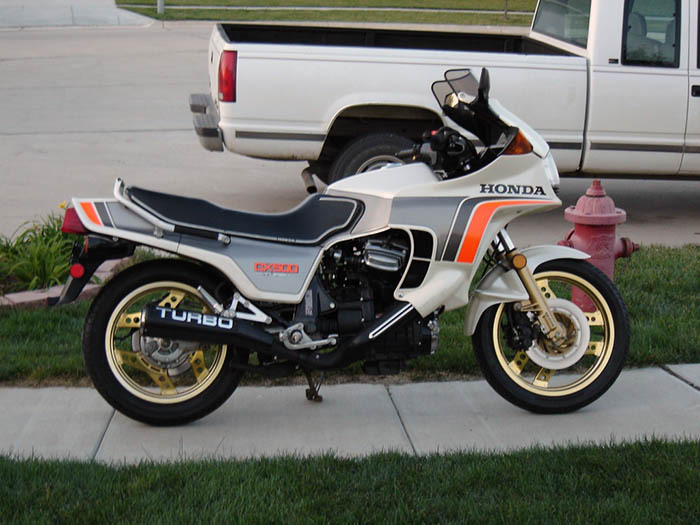 I'm behind my 500T that I bought six months ago (on the left). (Click on the photo for the hi-res version of the pic). Pete sent in a few more pics. It seems his dad has gotten the Turbo bug again and has added his own bike to the mix.